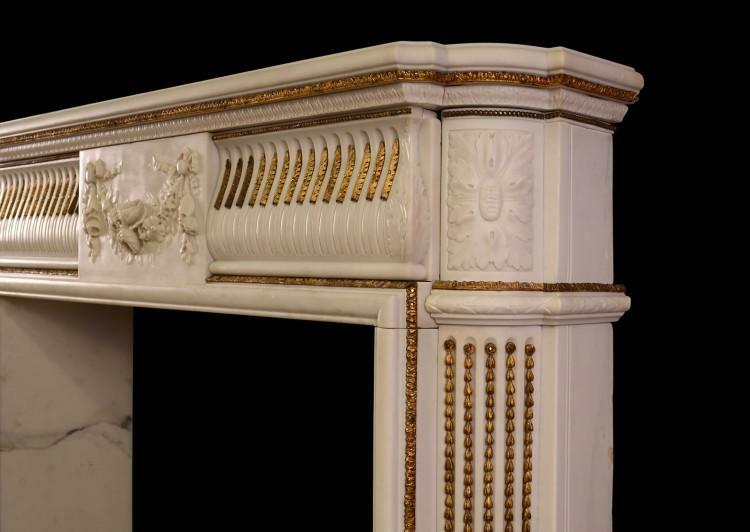 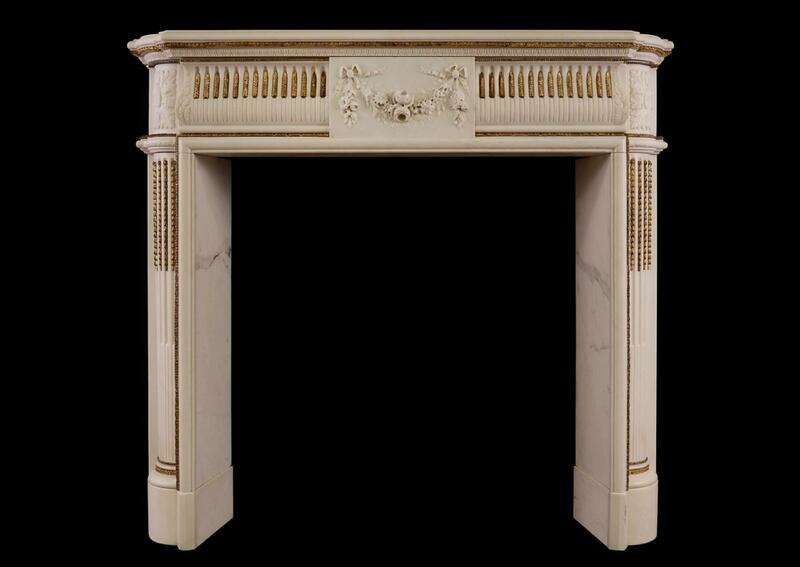 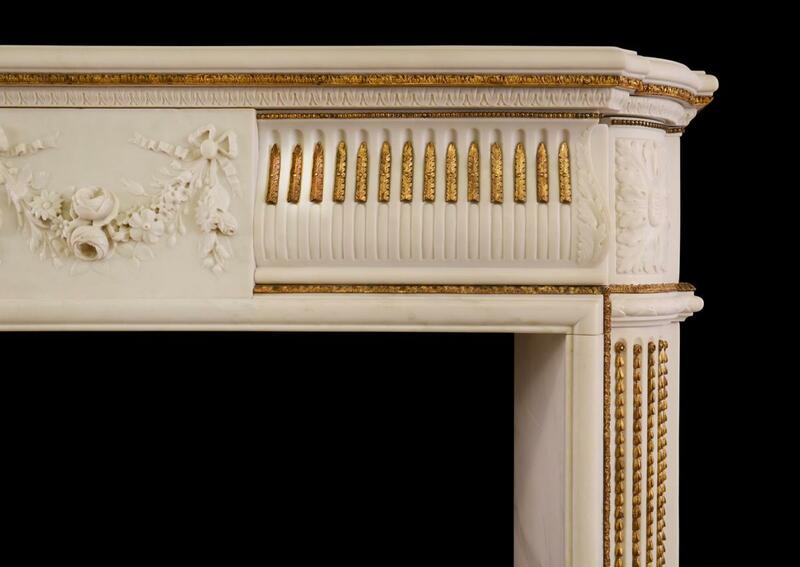 A good quality period Regency fireplace in Statuary white marble, with adorned brass ormolu enrichments. The frieze with finely carved centre blocking of tied swags, ribbons and flowers, flanked by stop-fluted frieze with delicate ormolu husks throughout. The curved end blocks with rectangular carved paterae and carved leaf moulding below. 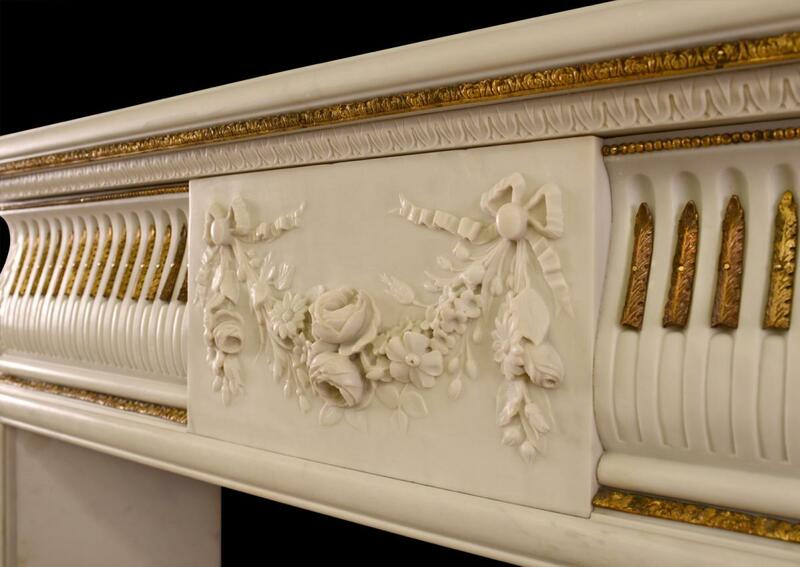 The fluted jambs inlaid with ormolu bellflowers. 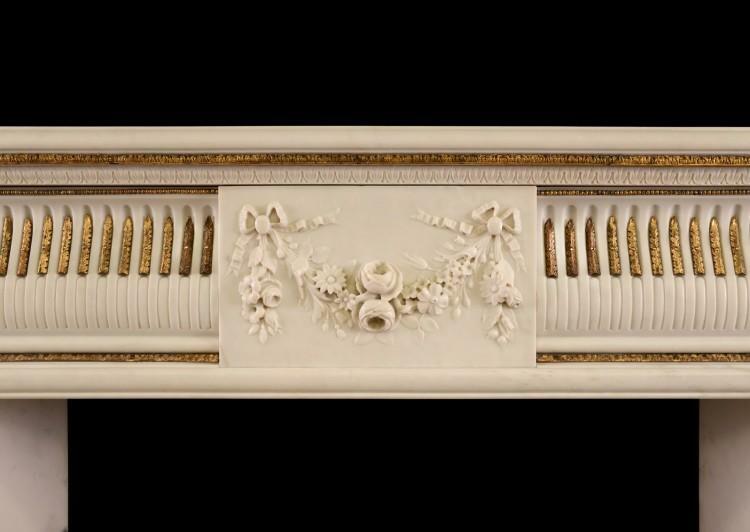 Shaped, moulded shelf above. 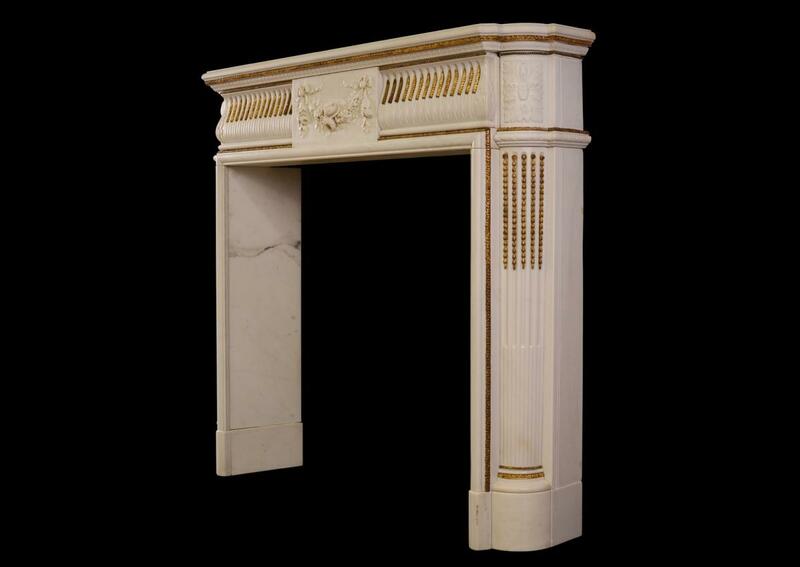 An unusually tall piece for its scale, ideally suited to a high ceilinged room. English, circa 1815.